Most countries on Earth have a militaristic moment that is told and retold over time and used as a rallying point for public reflection. These moments in a nation’s history are venerated and used as examples of a national character that persevered through war. The moment of veneration that John H Lee, director, turns his lens to is the Battle of Inchon, a tactical masterstroke by General MacArthur, that was a turning point in the Korean war. The year is 1950 and after a quick and brutal campaign North Korea has captured most of the Korean peninsula. The film opens with General MacArthur deliberating over how a United States-led coalition will either reinforce a small southern part that remains in South Korean hands, or attempt an all or nothing assault on the East coastal town of Inchon further North. 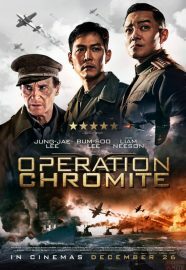 Operation Chromite, taken from the name of the attack, focuses on a small team of South Korean spies in their attempt to infiltrate the communist government at Inchon in order to gain valuable information regarding coastal defences. 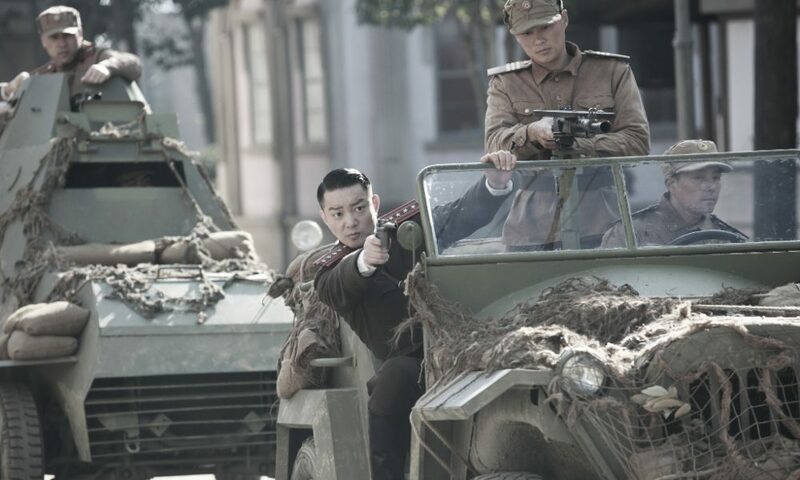 Operation Chromite pits the mission leader, portrayed by Lee Jung-jae, against Lee Bum-soo’s North Korean general in a game of deadly cat and mouse, the backdrop being lively chase scenes, loud gun fights and big explosions. The action set pieces in the film are handled with care, at times tense and well choreographed. The dialogue, however, drags the quieter moments down and is generally clunky and brusque. Liam Neeson as General MacArthur, chewing constantly on his pipe, does well to keep a straight face through some of his lines, which are at times unsubtle in their earnestness and sentimentality. The context to all this action is a bitter struggle between a love for the family against an evil and godless system that threatens to destroy it. Lee Bum-soo spits out his delivery of the line “ideology is thicker than blood” and revels in telling stories of comrades who have killed a family member for the good of communism. This narrative of struggle plays out in a female communist, played by Jin Se-yeon, who defects to the South after she witnesses her uncle’s death at the hands of the brutal North Korean general. Spies are meant to be quiet and inconspicuous, and in real life Operation Chromite was a surprise. In the movie, though, there are enough explosions and blundering caricatures that the whole of Inchon could have telegraphed the forthcoming assault. Operation Chromite is released in selected cinemas on 26th December 2016.